Having trouble with your smartphone's multitasking, due to low RAM memory or the way its Android build handles app management? Grab Memory Locker and fear not. This app prevents running applications from being killed by Android's memory management subsystem. Android sometimes kills any running application because of low memory. For example, some Android users, especially ones using low memory devices, have problem with the OS killing the launcher. Surely you must have had that happen, when your launcher is killed and then it takes some time to restart. In such cases Memory Locker can reduce the risk or outright prevent it from being killed. Being a power user app, Memory Locker lets on select which applications they want to prevent from being killed. This means the feature is also useful for widgets on your home screen, because it minimizes the risk of widgets stopping to run. Memory Locker works by modifying files in the /data directory, and also controls system files in the root folder for setting the oom_adj value for all running processes. All locked (memory-protected) applications are automatically locked after each reboot, so you do not need to lock your applications again after each reboot. 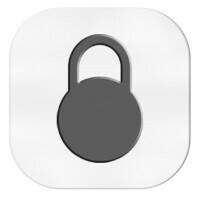 Memory Locker is free and can be downloaded from Google Play. One apps to kill other apps One apps to prevent the apps to be kill Wonderfull. ...Most of which you can't root. Hmm on a retest it seems to allow killing of the app if memory is really low but about 10 tabs can be left open on 2gb at 1080p. 10 tabs of youtube playing 1080p vids? Lol I wish, maybe with the 4gb phones though. Still, my phone is heavily customized which alone takes about 400 MB meaning I only have about 600 to 800 MB free usually. So others might get better results. Coming from an iPhone...Phones shouldn't be having these issues xD especially if they have 2014-15 specs compared to Iphones 2012 specs. Who said anything about issues. This app just locks applications in the RAM which allows apps to load faster. Even in iPhones the apps obviously load slower when they are not in the RAM. Its about users having a choice which iPhone users will not understand anyway. Besides, with the meager RAM that iPhones have, this feature would be useless for them. You can use this App for a normal functioning Phone or a Phone with "low RAM memory or the way its Android build handles app management" From the article it says this app is and can be used for low RAM memory and due to the laughable and wasteful way Android handles handles app management. You like a typical fanboy ignores this. I don't know where the "fanboy" thing came from. I have an android phone, an iPad Air and a Windows 10 PC. Basically, I use all 3 of the most popular OSs. So I have made the comment based on experience. Apple may boast all they like about their RAM management but the truth is that its really frustrating when the Chrome tabs have to reload again and again even when I have barely 3 tabs open. Therefore, I would like a choice to lock it in the RAM if possible. But then, this might cause the system to close other important system apps which will result in problems. Basically, IMO, iOS offers users no choice and Apple has been too ignorant to upgrade their RAM which is frustrating. The reason I say "has been" is because they have finally decided to upgrade it to 2 GB at the end of 2015 when many devices are sporting as much as 4GB of RAM. Lol coming from an iPhone it would be difficult to understand. We want to go from 5-10 open tabs loaded to 10+. On an iPhone I think 3-4 is the limit on 1080p and and about 5-6 on 750p. As they say: ignorance is bliss. Compare today's apps and the apps back then, that should answer your question . I'm wondering why you would wanna open that many apps? i dont know for app i did not tested but more than 50 tab in chrome dont reload on my laptop but i do have 12 gb of ram lol. YES!! I want this solely for Pandora. My G2 was really bad about it. The S6, not so bad. I just got a Note 5 yesterday. I will download this app if it ever closes Pandora even once. It probably will not with 4gb of ram though :). If I had a phone that just "upgraded" to 2 gb I'd cry.